What Is Soko Poker? - Casino Answers! Casino Answers » Poker » Soko » What Is Soko Poker? 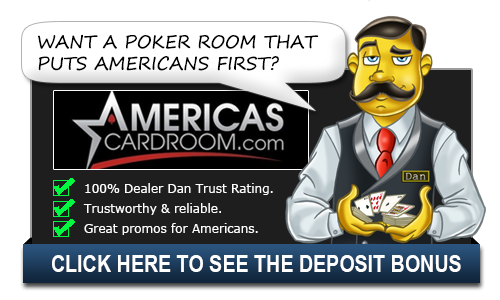 You may have heard of Texas Hold’Em, Omaha and Stud poker types but there is more than likely one out there that you have not heard of as yet. Why? Well, one form of poker is not yet widely played on the Internet and cannot often be found in casinos, although it is gaining in popularity all the time as people seek entertaining and challenging games to play. That form of poker is Soko poker and it is actually a variation of the Stud games that we already know and love. Soko poker is one of the most uncomplicated poker games around at the moment. It is a lot of fun to play and is a little like Five Card Stud. In fact, it is also known as Scandinavian Stud or Canadian Stud. The basic rules follow those of Five Card Stud in terms of how the cards are dealt and how poker fans play so if you already know how to play that game then you will not have any issue in picking up Soko poker. However, there is one major difference between the two and that difference can be found in the hands that can be played. The ranking hands in Soko poker are slightly different to those that can be found in all other types of poker. There is a Four Flush and Four Straight in addition to the other card hands that we have all come to know and love. Both can be found before the Two Pair in relation to ranking and are as their labels suggest. However, it is important to note that their inclusion changes the game completely because it makes it much faster and much more enthralling. This is why the game is growing in popularity so try it because you are guaranteed to like it! An interesting wrinkle of Soko Poker is that it doesn’t work like a traditional game with a blind or opening better. Instead, the player with the lowest card showing is forced to make the opening bet. The game then goes on to be played clockwise around the table where each player can decide to call, raise or fold. In the next round, another card is dealt face up with the player with the best showing hand leading off with the option to check or bet. The play then proceeds clockwise around the table. The same rules then apply to the fourth and fifth cards with the top showing hand opening the betting of the round. This can be a wild game, but strategy is important. Pairs are a good starting point and suited cards aren’t quite as great as you’d expect them to be. While a four-flush is easier to get than a five-flush, it’s still pretty rare. You should, however, play your possible straights when possible if the betting doesn’t get too high. The most advantage you can have in this game so playing tight pre-flop can really benefit you in the long run.